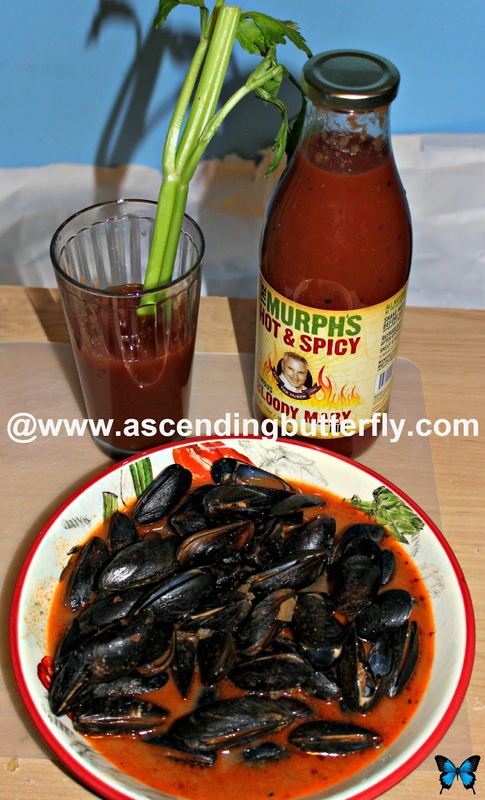 I used Murph's Famous Hot & Spicy Bloody Mary Mix to make BOTH the Mussels and the cocktail. Bloggers feel free to post your Wordless Wednesday URL as a comment to this post so we can check out your photos as well, no giveaway links please! FTC Disclosure: This is not a paid insertion. This is a non-compensated post and all opinions are expressly my own experiences. I was provided with Murph's Famous for Editorial Consideration. I am disclosing this in accordance with the Federal Trade Commission 16 CFR, Part 255 - Guides Concerning the use of endorsements and testimonials in advertising, you may visit our full giveaway and disclosure page for complete policy information. OH ! my word that truly looks yummy. I hope you had a lovely white wine and some crusty bread and garlic butter !!!! @Kristin - Oddly enough when I was younger I didn't either, I was more of a Margarita girl as I do love Tequila, but my mom drinks them, and slowly she turned me into a convert. I can tell you this mix may make you change your mind! Ooooh! looks tasty I want some please heheh! @Cathy - I love both, but if you love spicy Murph's Hot & Spicy would actually also make a great rub for your ribs this Fourth of July if you are more of a meat eater! and a great dipping sauce for a Spicy Shrimp Cocktail as well! Nice clear photo, although I am not a fan of either the drink or the mussels.